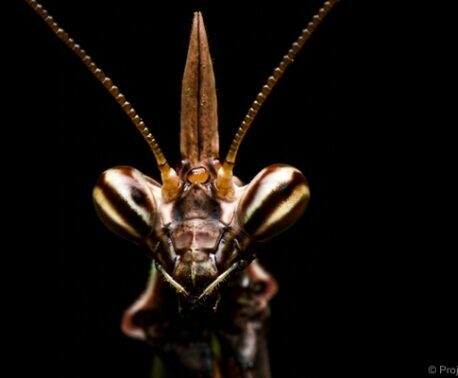 Once covering over an estimated 1 million km2, centuries of deforestation has seen the Atlantic Forest become the second most threatened biome in the world after Madagascar. Today only 6-7% of the original forest area remains, an area of 100,000 km2, and only an estimated 2% is still primary forest. 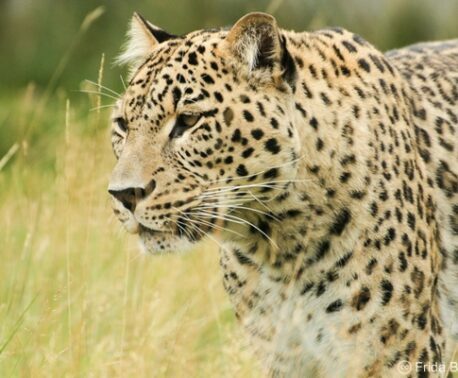 Despite the loss and habitat fragmentation, this ecoregion is still ranked in the top five of the world's biodiversity hotspots and is one of the highest priorities for conservation action globally. 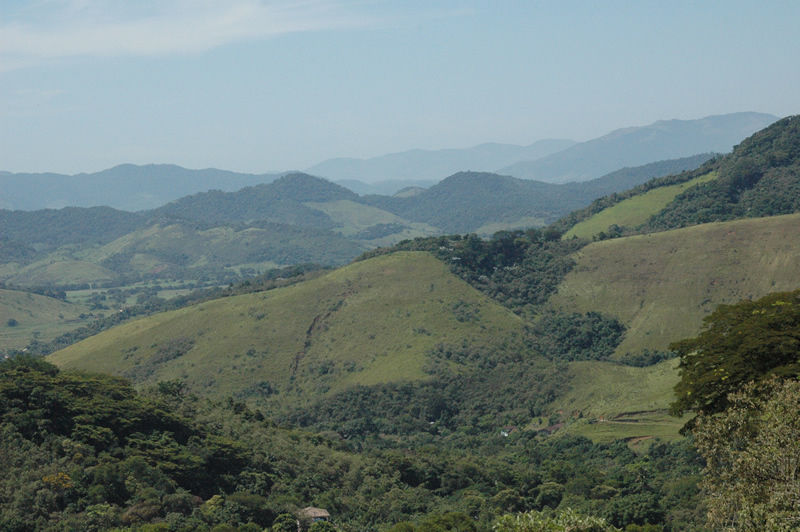 The Guapi Assu Reserve (Reserva Ecológica de Guapi Assu) in Brazil. REGUA provides ample opportunities for bird watching. 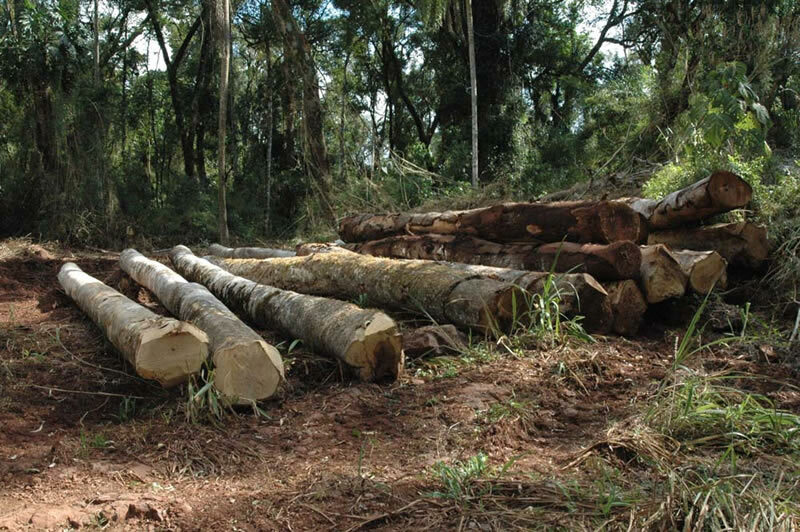 Logging is a significant threat to the Argentine Atlantic Forest. 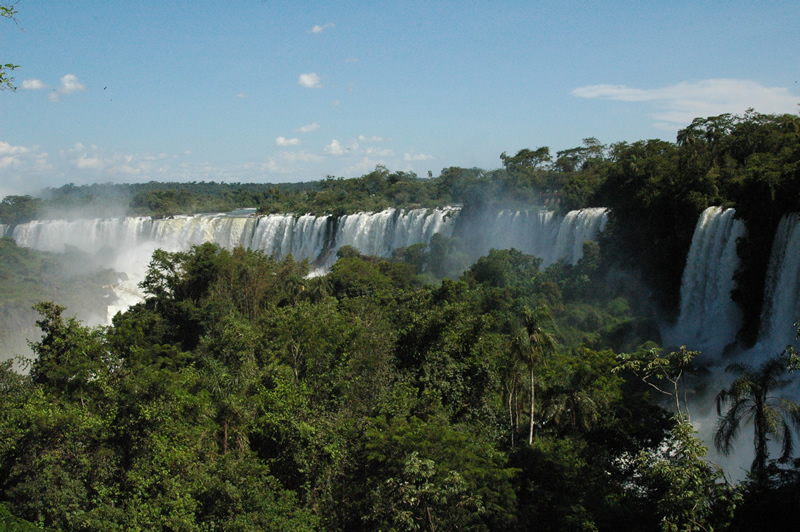 The Iguazu Falls – showcasing the wildlife and habitat of the Atlantic Forest. In February, John Burton, World Land Trust CEO, accompanied Michela Delle Donne, Head of Marketing from corporate supporter Eurojersey, on a visit to the Atlantic Forest. They visited WLT supported projects both in Brazil and Argentina, accompanied by Brazilian wildlife film-maker, Luciano Breves, who captured footage for a promotional video for Eurojersey of the wildlife and habitats. Eurojersey is an Italian producer of warp-knit fabrics who have pledged their long-term support for WLT's project to purchase and protect the Moconá Corridor Reserve in the Yabotí Biosphere Reserve in the Atlantic Rainforest of Argentina. This strategic corridor links three already Protected Areas, and will provide cross-border protection of continuous forest between Argentina and Brazil. The visit started in Brazil at the Reserva Ecológica Guapi Assu (REGUA) which protects and manages over 17,500 acres of Atlantic Rainforest just a couple of hours drive from Rio de Janeiro. The reserve area was deforested in the mid-20th century, but, since 2000, REGUA has been actively involved in ongoing habitat restoration and is an example of a conservation success story. Much of this work is due to the generous response of WLT supporters. The next part of the journey was to Misiones Province, one of the last strongholds of relatively intact tracts of Atlantic Forest. Eurojersey is assisting with funds for the purchase of a corridor of land in the Yabotí Biosphere Reserve that links three National Parks, which will provide cross-border protection of continuous forest between Argentina and Brazil. Welcoming the group to the area, and acting as its guide, was the Laharrague family, who are selling the first parcel of land (which will start the Moconá Corridor Reserve), to WLT project partners, Fundación Frontera Verde. The group then travelled to the project area, which is located deep in a forest accessed only by dirt roads and by river, where they also visited a local Guaraní settlement. It was evident that logging still continues in the area, even within the designated Yabotí Biosphere Reserve. 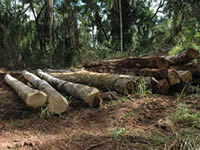 The photo of logged timber was taken close to the area being purchased and saved with funds provided by the WLT. The trip concluded with a visit to the nearby World Heritage site of the Iguazu Falls National Park, also within the Atlantic Rainforest biome, allowing close encounters with some of the amazing wildlife of the park area. 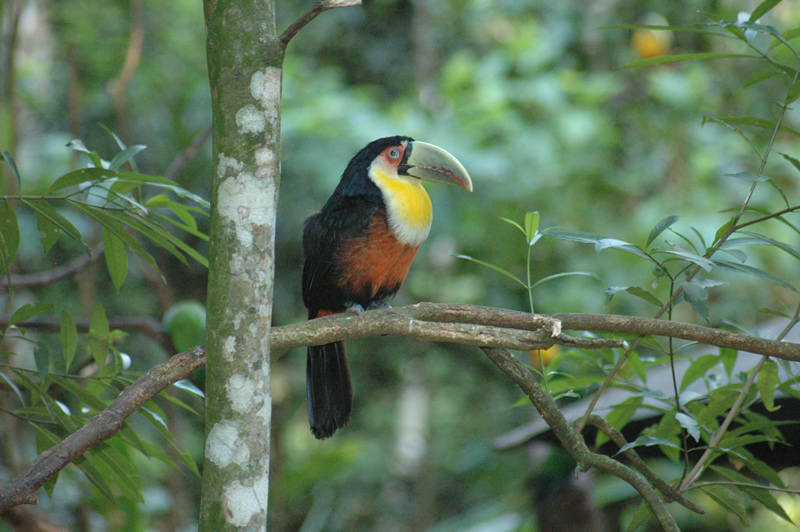 Learn more about WLT's work protecting the Atlantic Forest on our Brazil and Argentina project pages.